The Hemiptera is a remarkable insect order with some very divers suborders. 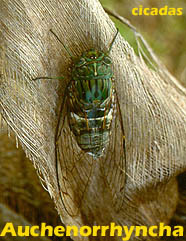 The Cicadas (Auchenorrhyncha), well known by the Singing Cicadas with their loud pulsing or rattling noise, and the Leafhoppers with the familiar foam blotches of the larvae and the extreme jumps of the imagines. 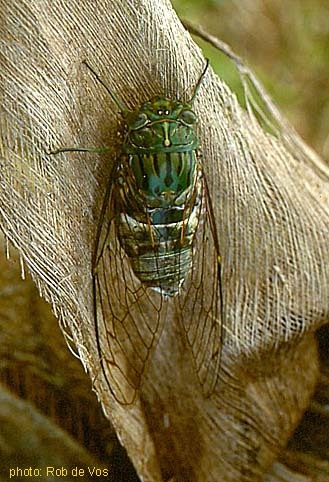 Its taxonomy is rather well studied, particularly from the Singing Cicadas, so the presented checklists are probably quite complete, except maybe from less explored areas. The True Bugs (Heteroptera) are not so intensively studied yet in Papua so the presented checklist probably is just an indication. 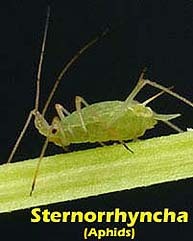 The Aphids (Sternorrhyncha) are even less known and probably only the plague forming species are well known. Dolling, W.R., 1991. 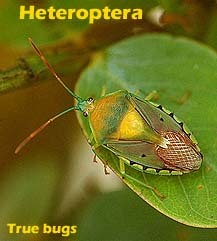 The Hemiptera. Natural History Museum Publications, Oxford University Press, Oxford.